You may know fennel as a common ingredient in the kitchen, but did you know that it is also a key ingredient in absinthe, was used as an ancient appetite suppressant, and was declared by the emperor Charlemagne as essential in every garden because of its healing properties? It’s probably not too surprising then that this flavorful herb has a vast history of culinary and medicinal uses. In folk medicine, it was used to promote menstruation and to enhance lactation. Native to the Mediterranean, today Fennel is popular worldwide and has an expanding list of health benefits. Growing up to seven feet tall and bearing beautiful yellow flowers, the fruit, roots, leaves, and stem all contain medicinal ingredients and nutrients such as fumaric acid, rutin, quercetin, amino acids, folate, potassium, and vitamins B1, B2, B3, C and E. In fact, in one cup of fennel, you'll receive 10.8% of your daily value of fiber, 5.9% of folate, 10.3% of potassium and 13.9% of vitamin C. However, the primary medicinal benefits are found in the seed oils. One of the main medicinal uses of fennel seeds is in aiding digestion. In fact, fennel seeds and relief from bloating often go hand in hand, since it has long been used as a carminative herb that helps reduce colic, gas, bloating, abdominal pain, indigestion, intestinal disorders, assimilation, nausea, cholera, and flatulence. 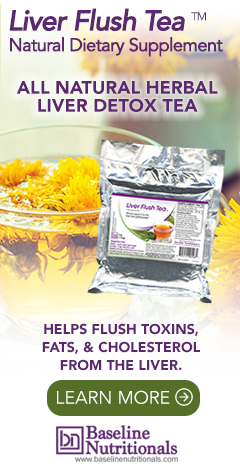 The bioactive responsible for this benefit is fenchone, which helps relax the smooth muscle lining the digestive tract, making fennel seeds useful in reducing intestinal and stomach gas, and a necessary ingredient for colon cleansing products. You’ll even find it in both of Jon Barron’s colon health formulas, Colon Corrective and Colon Regenerator™. The essential oils in fennel seeds also stimulate the secretion of digestive and gastric juices and help the body better absorb the nutrients of food. These properties allow fennel to help improve digestive health and quiet hiccups. It is also why chewing fennel seeds after a meal has become a common practice in Indian culture, particularly in the Indian Subcontinent. Aiding digestion isn't fennel’s only use, either. Due to the presence of cineole and anethole, which are natural expectorants, fennel has also been used for upper respiratory tract infections, coughs, and bronchitis. You will often find it as an ingredient in cough remedies. Fennel will help assist in the removal of mucus and phlegm from the lungs and will also help rid the intestinal tract of mucus. Its natural cleansing properties also affect the gallbladder and liver, which is why you’ll find fennel seeds as an ingredient in Jon Barron’s Liver Flush Tea. Fennel can also help break up kidney stones and uric acid in the tissues and is therefore used in treating gout. Like many of the herbs and foods we feature, fennel has strong antioxidant properties. One key ingredient found in fennel, anethole, has been found to reduce inflammation, may even inhibit the occurrence of cancer, and protect the liver. In addition to all of the health benefits listed, fennel can be a relief to mothers. According to a study from the St. Petersburg Academy of Postdoctoral Education, a fennel seed emulsion can help alleviate symptoms of colic in infants. Also, from Ancient Roman to modern times, fennel has had a link to improved eyesight. Extracts of fennel seed have been shown in animal studies to have a potential use in the treatment of glaucoma. May help boost sexual desire. Is it any wonder that Charlemagne mandated its growth in every garden. When using fennel, the three different parts - the base, stalks, and leaves - can all be used in cooking. The stalks of the fennel plant are a popular ingredient in soups, stocks, and stews. Chopped fresh, you can also use fennel in salads, sandwiches, or sprinkled over smoked salmon. Fennel seeds, on the other hand, can be found as a powder in Nutraceutical formulas, particularly those that help to ease and heal the colon. Learn more about our colon cleanse and kidney detox. I've long used Fennel raw in juicing. It adds a delicious natural sweetness to any juice recipe and is great for reducing anxiety.